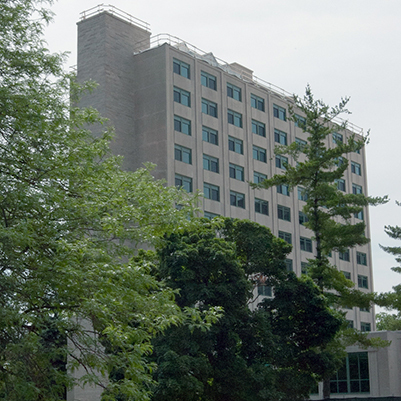 This project involved completely renovating the Shoemaker and Gucker Towers of Briscoe Quadrangle on the IU Bloomington campus, as well as much of the two-story center building connecting the two towers. The project was completed in two phases. Included in this renovation was the design and construction of a satellite chilled-water facility for providing air conditioning to the facility. 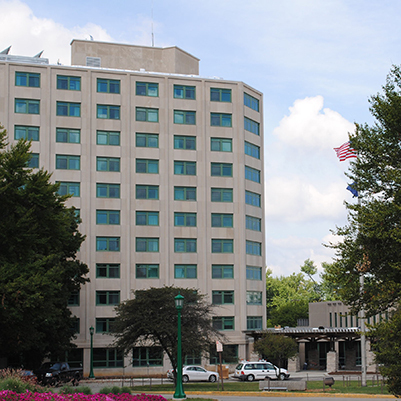 Both towers were upgraded to provide more private, independent housing accommodations, which focused on two-, three-, and four-person suites with separate ADA-compliant restrooms, and the mechanical, electrical, and telecommunications infrastructure for the suites. This facility was fully sprinklered for fire protection and upgraded with a more secure card-access system. The limestone exterior of the building was cleaned and tuck-pointed, all windows and exterior doors were replaced, and a new exterior canopy was provided at the main entry. This renovation provided 307 suites and 693 beds.